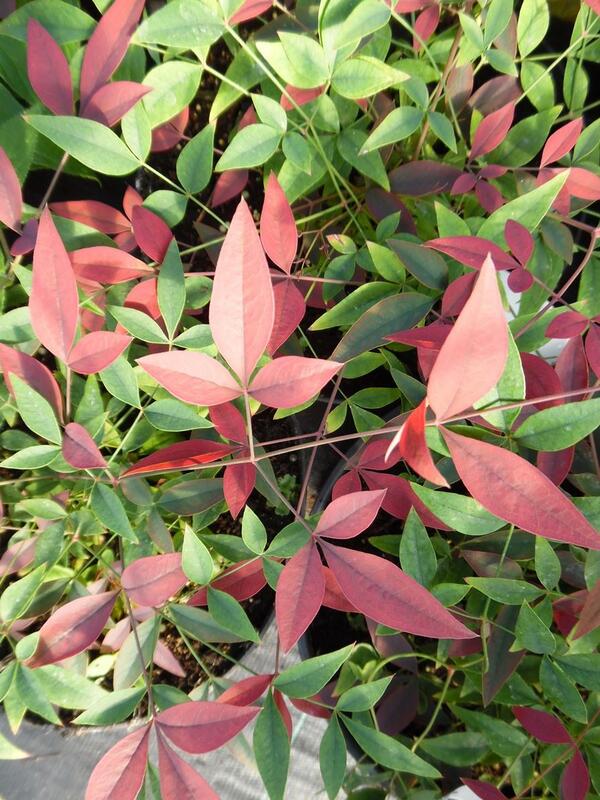 Nandina Flirt is a compact bushy evergreen shrub with bushy Bamboo like leaves red wine coloured when young in spring gradually turning green with age then to orange red purple in autumn winter. Produces small white flowers in summer followed by red berries in autumn. Eventual height and spread up to 0.1 to 0.5 metres.